McKee Property Management is one of Eastlake’s leading property management and leasing companies. Since 1982 we have helped thousands of Eastlake property owners with their management and leasing needs, and we continue to be an industry leader in the markets we serve. We invite you to learn more about us, and our innovative systems that help us rent your property faster. Signage – McKee Property Management has gained the reputation as an industry leader in the Eastlake rental market. 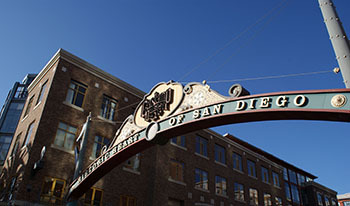 With over 30 years in the industry, our signature green and blue FOR RENT signs have become a familiar sight around San Diego County. Eastlake has been voted San Diego's best new home community in The San Diego Union-Tribune reader's poll every year since 1997. A comprehensive master-planned community located in southern San Diego County within the city of Chula Vista. The 3,200 acre master plan of EastLake includes residential, retail/commercial, industrial/office areas with recreational areas throughout. Residential areas include EastLake Hills, EastLake Shores, EastLake Greens, EastLake Trails, EastLake Vistas, The Woods and EastLake Trails North. 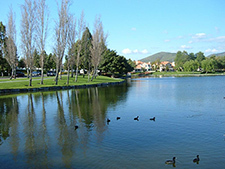 There are more than 1,100 acres of parks, recreation, and open space in EastLake. Eastlake is located just south of San Diego in the City of Chula Vista. Eastlake prides itself on it’s outstanding sense of community, safety, family, and rapidly growing neighborhoods.